Art Line was an international art project investigating and challenging the concept of public space – the digital and physical domains. 14 partners from 5 countries around the Baltic Sea joined to create a co-operative platform for art and academia in Poland, Sweden, Germany, Russia and Lithuania. The platform strengthened the institutions, created opportunities for artists, and interacted with at least 400 000 people in public space, in exhibitions, online, in storytelling-projects, on conferences, in laboratories and on the Stena Line ferries between Gdynia and Karlskrona. you can watch a 3 minutes film about 3 ½ years of transdisciplinary art collaboration in the Baltic Sea region; scroll an artistic rendition of digital material in the project; watch a documentary about one of the projects, Telling the Baltic, and take part of photos and texts about events, lectures - and Art Online. Read, watch and listen to talks, workshops, public space projects, art and technology-experiments, art and digital media conferences, exhibitions, programs on the ferries going in traffic between Sweden and Poland, tailormade art tours to Poland and much more. Step into the network and collaboration of Art Line. 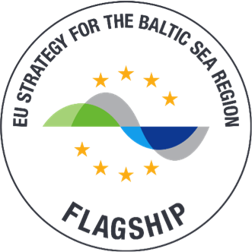 The project was co-financed by the EU Program South Baltic Cross-Border Co-operation Programme. The catalogue responds to the mixed media content of the project and hence exists in two formats, in print and in an extended digital version with more essays and artworks included. In the online catalogue the visitor has access to Art Online, videos, sound works, lectures, documentaries and to an online gallery exhibition about the storytelling project Telling the Baltic. An artistic rendering of all projects, A Message From Another Shore by Nicola Bergstrőm Hansen concludes the project in the form of a playful examination of the visual traces of creativity and collaboration. Art in our public spaces, both in the digital and within the ‘real’ physical venues, has been one of the overarching topics as well as experiments in art and digital technologies within the international collaboration Art Line. The project itself derived from the need for a stronger cultural infrastructure in the Baltic region. 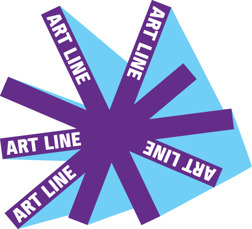 Art Line was a long-term interdisciplinary cooperation anchored in 14 art institutions and academies and as a result had created a collaborative platform between Poland, Sweden, Germany, Lithuania and Russia.